Netflix didn't have Ettore Fieramosca, fascist Italy's anti-French propaganda film, so I had settle for just watching Alexander Nevsky, the other armored flick in "The Italians and Russians Do Films of Armored Knights: Both Use History to Warn Their Enemies." Alexander Nevksy is a famous bit of Russian nationalist, anti-German propaganda. It's the story of a 13th-century Russian prince, famous for his defeat of a Swedish invasion, who must rout another invasion attempt, this time by Teutonic knights. Timely and conveniently anti-German and anti-religion (the Germans and the priests throwing babies into a bonfire was actually kind of funny), this film softened Joseph Stalin to director Sergei Eisenstein. Halfway through Alexander Nevsky, I was really mad at Stalin for not sending Sergei to a gulag. Evidently Eisenstein barely escaped the Great Purge by going to Hollywood for six months and not doing any directing. Then I felt guilty for wanting to send the poor man to Siberia. I tried to focus on the positives: the Prokofiev score! the symbolism! the Battle of the Ice! Out in the blogosphere, Alexander Nevsky is commonly compared to The Lord of the Rings. I think it's an apt comparison--the last time I was as bored with a movie as I was with Alexander Nevsky was when I saw The Fellowship of the Ring. So, Alexander Nevsky is the most boring film I've seen this decade. That's quite an achievement. Despite not liking Alexander Nevsky, I still wanted to make something rather USSR to go with it. Thankfully, I have a copy of Foods of the World: Russian Cooking, which was published in 1969. Since Easter was this weekend, I decided I had to make a pashka, or "Easter Cheese Pyramid with Candied Fruit and Nuts." Unfortunately, the Swedish section at the grocery store had been decimated and there was no farmer's cheese, so I used a package of cream cheese that was in my refrigerator. I forgot what I originally bought it for. I ended up changing the recipe so much that now it's a pashka-inspired cream cheese frosting. It's very yummy, though. Preheat oven to 200 degrees Fahrenheit. Grease a standard loaf pan with 2 teaspoons butter. Flour with the tablespoon of all-purpose flour, being sure to coat all interior surfaces. Invert pan and tap the bottom to remove any excess flour. Set loaf pan aside. In a large mixing bowl, cream the 1/2 lb butter and the sucanat. Beat in the three eggs then the potato starch, 1/2 cup at a time. Next beat in the flour, 1/2 cup at a time, adding the baking powder with the last 1/2 cup. Beat in the brandy and vanilla extract then fold in the chopped almonds. Spoon the batter into the prepared loaf pan, evening out with a spatula. Bake in the middle of the oven for about an hour and a half to an hour and forty-five minutes, or until a cake tester comes out clean and the cake is lightly browned. Cool cake in its tin on a rack for about 10 minutes, then run a knife around the edges of the cake and invert on the rack to cool completely. Serve with a scoop of Pashka Cream Cheese Frosting. Adapted from "Liiva Kook" in Helen and George Papashvily, Recipes: Russian Cooking (New York: Time-Life Books, 1969), 95. Cover dried fruit in boiling water and set aside. Leave for about half an hour. Cream together the cream cheese and butter. Beat in vanilla extract and lemon zest then powdered sugar. Stir in the slivered almonds. Drain the dried fruit well and chop if necessary. Stir into frosting. Keep frosting chilled. Serve with Sand Cake. Inspired by "Pashka" in Helen and George Papashvily, Recipes: Russian Cooking (New York: Time-Life Books, 1969), 90-91. *You can use whichever fruits you prefer or have on hand. I used golden raisins, pineapple and strawberries. This month's Tea Time Treats theme is Easter. 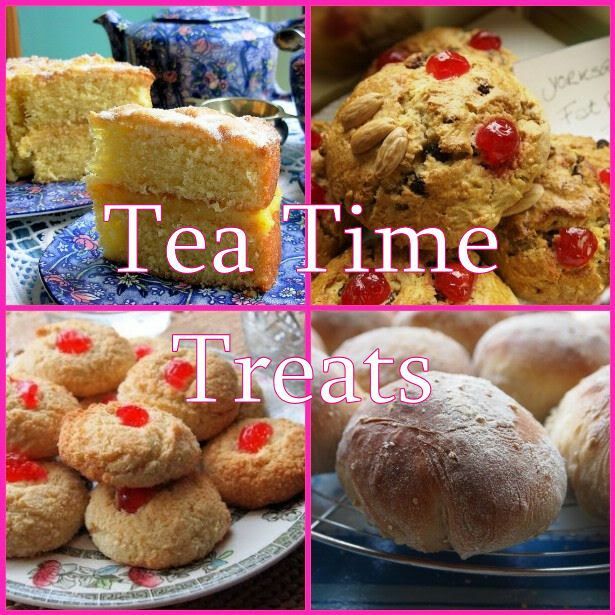 The creators of Tea Time Treats are Karen at Lavender and Lovage and Kate at What Kate Baked. Thanks to Kate for hosting this month! Be sure to go check out the round-up on May 1st. 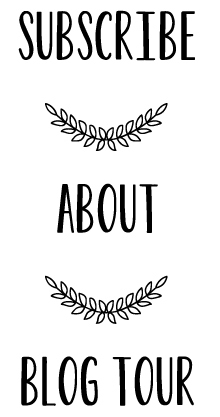 Any suggestions on blog readers? I've been using bloglovin' but it's been acting up lately. How do you keep up with the blogs you read? Boo for boring films and I LOVE that cream cheese frosting. A Baltic Sand Cake- I'#m absolutely delighted you've kindly entered this really interesting post and recipe into Tea Time Treats! Many many thanks! I slept through Alexander Nevsky too. That Sand Cake looks seriously delicious. I'm so glad to know I'm not alone. I felt like a bit of a Philistine for not liking a "masterpiece." Sometimes "good" movies aren't very entertaining! well, clearly I prefer you to watch an anti german film than an anti french film ;). your blog always makes me so hungry, all these photos of delicious dishes!! I love the ancient plates on that post. I loved France so much that I don't think you'd have to worry about a movie making me dislike it! The movie might not have been interesting, but your post certainly is! Lol! Well, after that sterling review, I know what movie I WONT be watching! babies on bonfires....no good! Your Easter cake sounds yummy though....I dont think our grocery store even has a swedish section! Im jealous!